Investors MLS provides methods to maximize you time, money, and opportunity. In real estate investing, when the question you ask yourself becomes “Is this a good deal?”, finding a resource for data, information, and knowledge is valuable. When it comes to analyzing a property for a real estate investment to rehab and flip or buy and hold, having an automated valuation model provide a property valuation with a confidence score can really make the difference in determining value for a property. The valuation report analyzes other sold properties and compares those with the subject property to provide a degree of confidence as to the actual value of a property. This tool can make the difference in determining the viability of a real estate investment. Do your research and make money utilizing the reports available at Investors MLS. 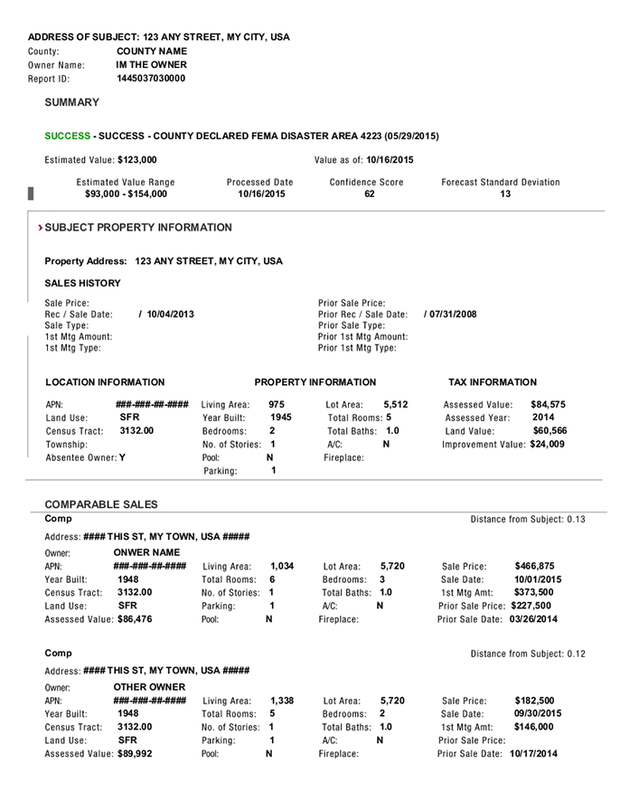 Click here to access reports that are essential in analyzing properties.